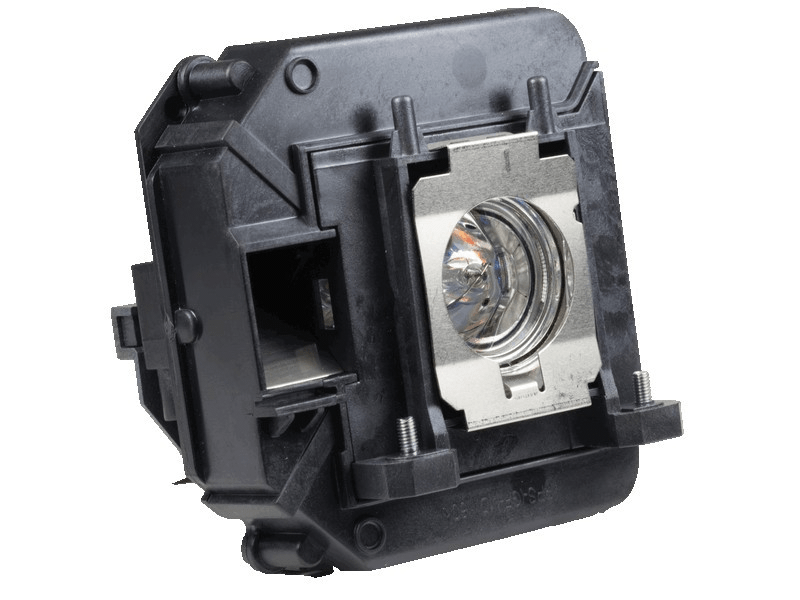 The Powerlite 425W Epson projector lamp replacement comes with a genuine original 200 watt Osram P-VIP bulb inside rated at 2,500 Lumens (Same brightness as the original Epson lamp). The Powerlite 425W Epson replacement lamp has a rated lamp life of 5000 hours (6000 hours in Eco mode). Beware of cheaper generic lamp replacements sold elsewhere that have lower lumen output and reduced lamp life. Powerlite 425W Epson Projector Lamp Replacement. Projector Lamp Assembly with High Quality Genuine Original Osram P-VIP Bulb inside. We have had our projector for years and this is the 2nd one we have bought from Pureland Supply. Our last one lasted so long we can't remember when it was purchased but guessing about 5 years ago! Looking forward to another 5 years of enjoyment before the next replacement.